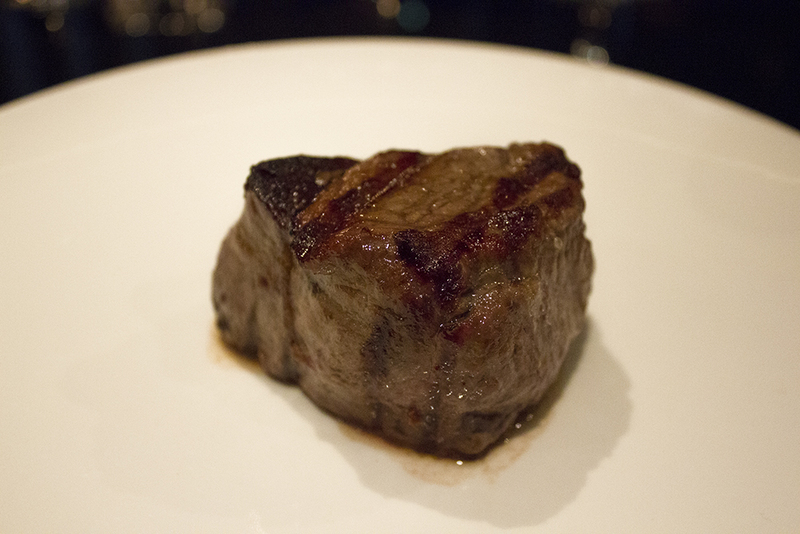 If you like to eat, and you like to eat meat, chances are you have probably visited, or at least heard of, Gaucho. 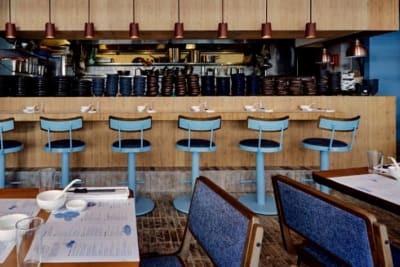 With over ten locations in London alone (not to mention their locations overseas and in the rest of the UK), this is one prolific Argentinean steak house. Decked out in silver chrome everything, black and white leather, and cowhide walls, Gaucho is consistently extravagant and resplendent. Hey, kudos for using every part of the animal, right down to its skin and hide. The setting for our tasting was simple and straightforward: Chef John Newsom would walk us through a butchery workshop to explain different cuts of meat, we then eat the meat, and swill it down with a carefully curated selection of craft beer (from London's Meantime brewery) provided by Gaucho's sommelier, Andres Torres, a refreshing alternative to boring ol' wine. So far, so good. And already Mr Torres was helpful and educational in that he gave us a few pointers towards improving our beer tasting experience by stressing the point of tasting them in wine glasses to let the brew develop a good, full-bodied flavour, just like you would with wine. Our butchery workshop begins with Chef John introducing various cuts of meat: bife de lomo (tenderloin), bife de chorizo (sirloin), churrasco (skirt steak), cuadril (rump steak), and bife ancho (rib eye), and also how to optimise cuts (spiral cut bife de lomo above its marbling to open it up, and butterfly cut churrasco to help it develop better flavours in the marination stage). 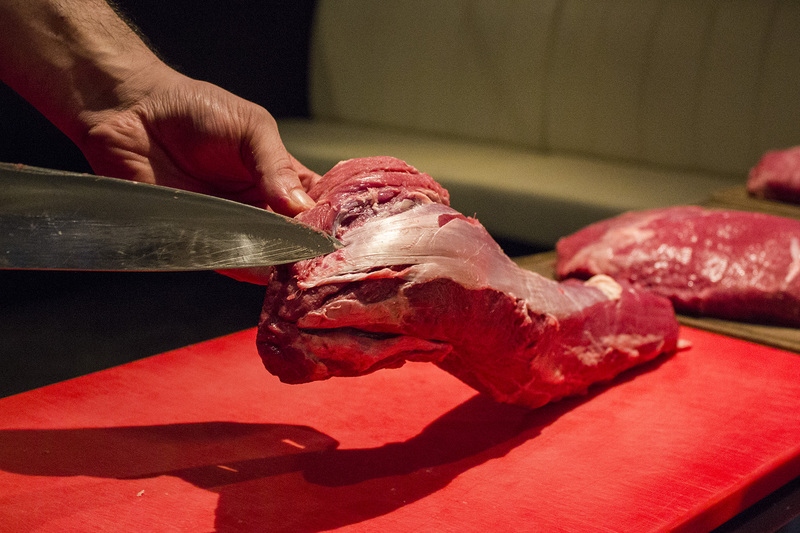 Gaucho uses free-range, organic beef imported from La Pampa that is exclusive to their restaurants. 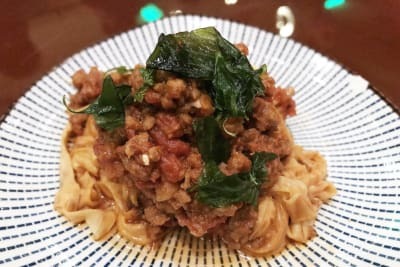 The meat is tender and relaxed, having had very little human contact, and is elegant in taste and soft and juicy in texture due to its wet ageing. After getting intimate with our dinner in its rawest form, we prepared ourselves to get to know it even better after it hits the grill. 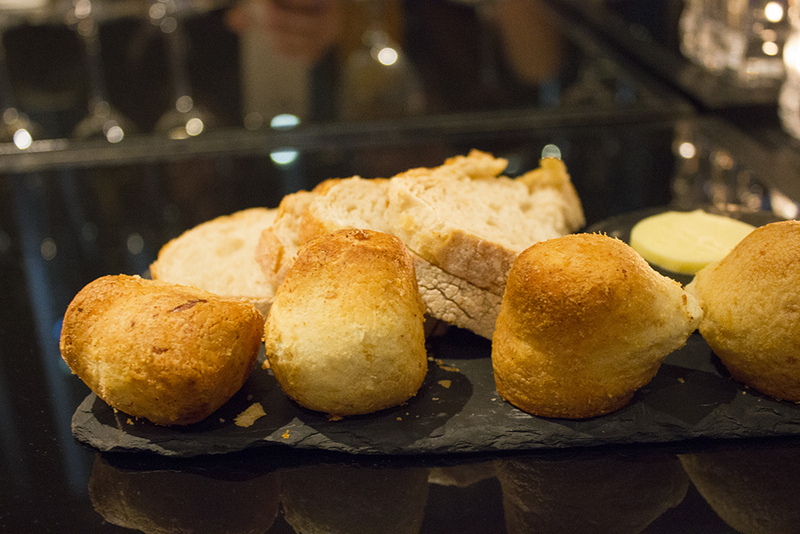 First off, did you know Argentinean cheese buns are amazing? I didn't. So I blithely stuck a chipa in my mouth whilst awaiting the first course and almost dropped it again, for my jaw had gone slack in wonder (but not for long, as I was pretty hungry from watching all the meat carving and now I needed my fill). Chipas are little cornflour nuggets filled with cheese, an inexpensive treat usually served during breakfast or as a snack. Gaucho makes them with provolone and cheddar. Dip these guys in Gaucho's chimichurri sauce and voila, a snack to gorge on for the rest of the night. Except I couldn't, because there were only four of them on the plate and I was obliged to share and there were other dishes to come (bah humbug). Next up, morcilla. Definitely an acquired taste, but a welcome one. This Argentinean black pudding is popular on barbecues as a starter, but Chef John Newsom made it his own by adding a fruity and sour touch. 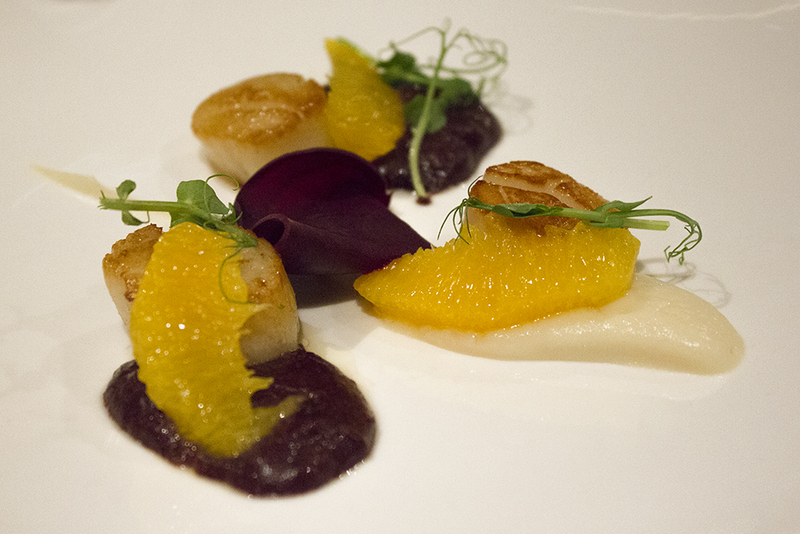 Plump scallops sit atop the soft, salty morcilla and the mild celery root puree, topped with refreshing orange slices, pickled onions, and a sheet of beetroot. A forkful of the chewy scallop slathered in morcilla, with an orange and a slab of beetroot wedged on top, created a taste explosion in my mouth; imagine zingy and sour, salty, rubbery and tender, and rich flavours all at once. Job well done, Chef John. The dishes above were paired with Meantime's London Stout, which is complex and sophisticated in flavour. The brewery uses sterile filtration to keep the beer fresh and flavourful. Usually goes well with seafood, such as oysters and scallops. It's a very pure form of beer, with very little ingredients, resulting in an elegant, mild taste. Chef John Newsom's choice to serve the lomo fillet above all the other cuts that we learned about that evening was an interesting choice; admittedly not as flavourful, the lomo's highlight lies in its texture, juicier than any other cut, and it is actually the tenderest part of the cow. 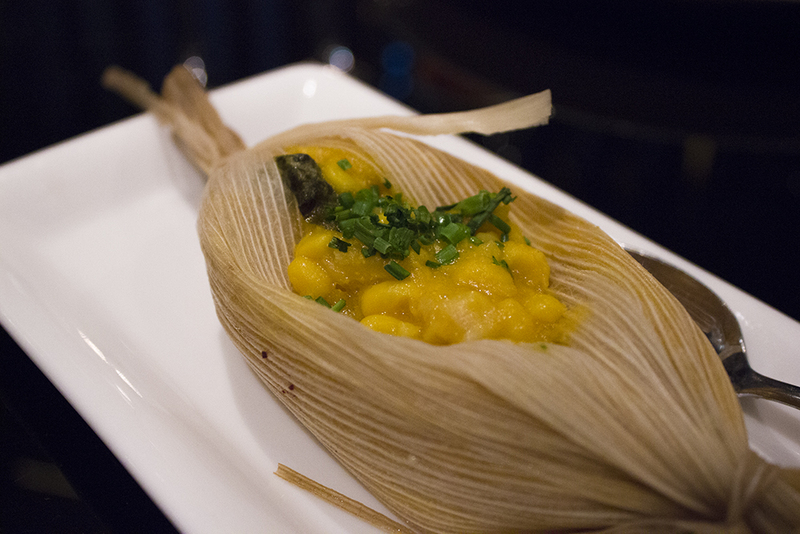 Gaucho's humita salteña was a personal highlight; served in a shoe-like corn husk, this sweet corn and mozzarella dish was crisp and creamy with a goopy texture, and it made my taste buds tingle; one serving certainly wasn't enough for me. Andres Torres paired our mains with Meantime's Yakima Red Ale, full-bodied but not too malty, and a great choice for rich meats. 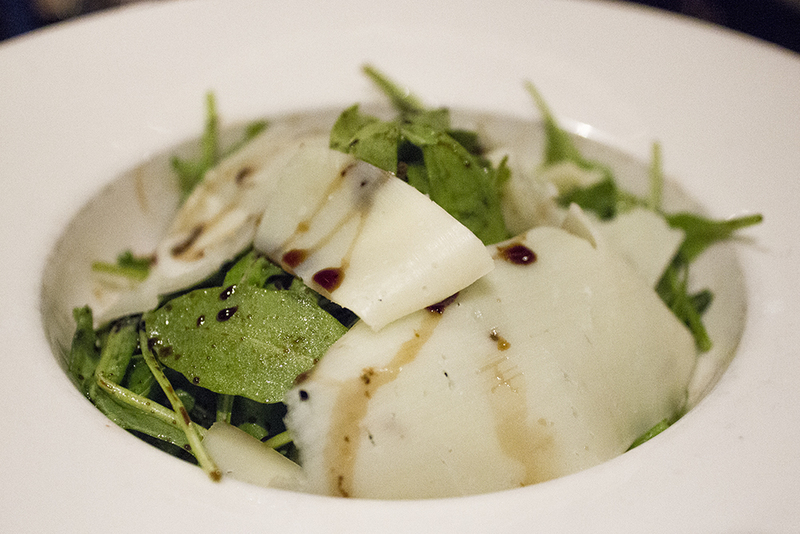 A small salad of rocket and provolone came with the mains, but even the uncommon, perhaps even special, choice of cheese wasn't enough to make this dish stand out; it paled in comparison to the steak and humita and didn't leave an impression. 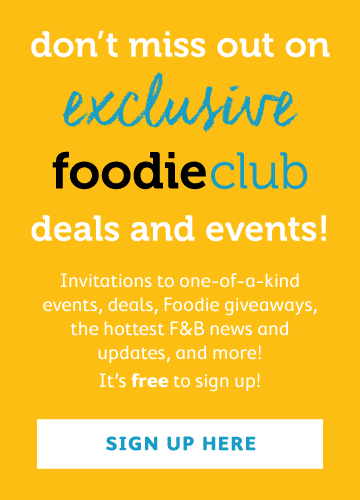 We tucked into our next dish eagerly; a hearty and tangy Italian La Tur cheese provided the cushion base for smoky potatoes, apricot puree, and toasted rye bread to sit atop. 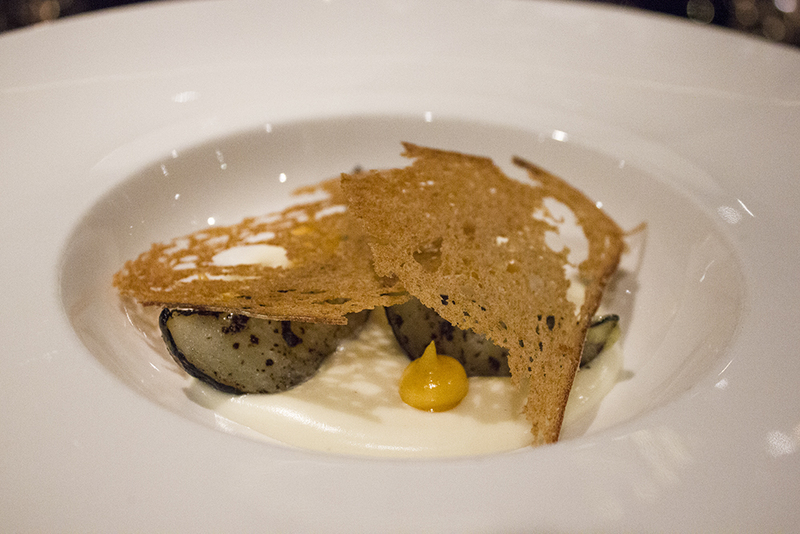 The creaminess and fluffiness of the goat, sheep, and cow's milk cheese paired well with the earthy potatoes and fruity apricot, and the crispy rye wafer was paper thin and delicate to provide a textural kick. Overall, an earthy and strong dish that went hand in hand with the fruity, citrusy notes of Meantime's regular Wheat beer. Our tasting and butchery workshop was rounded up with hazelnut and chocolate mousse, dusted in British sea salt to bring out the sweetness and counter bitter flavours. 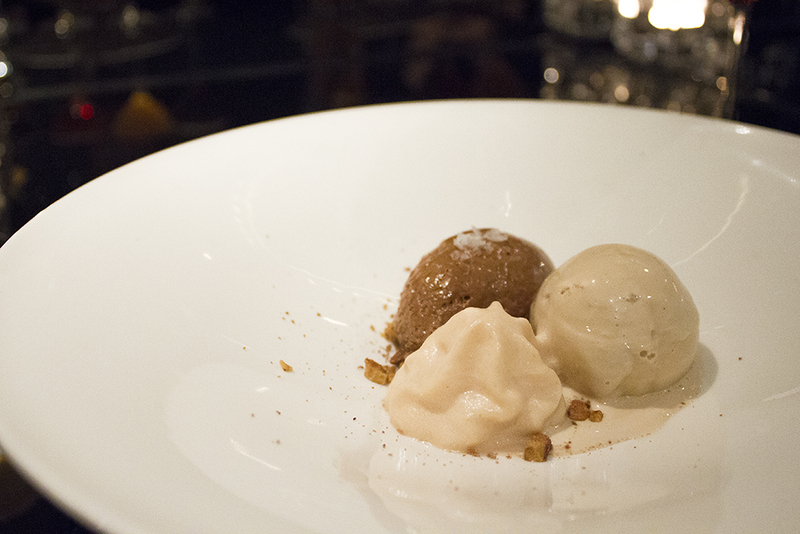 The dense ice cream and frothy espuma dessert offset the creamy textures of the mousse, and the course was paired with Meantime's award-winning Coffee Porter, Britain's first Fairtrade beer, brewed with beans from Rwanda. It was an appropriate way to end the evening and gave me just enough juice and buzz to heave myself out of Gaucho's dining chair and make it home while cradling my food baby.